The requests for personalized cards this year kept adding up. This one was definitely fun to make, though. 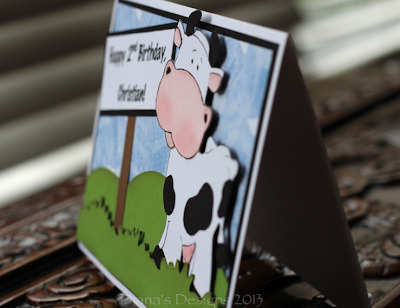 I used the adorable cow and grass cuts from the Cricut Paper Doll Dress Up cartridge. This card is very similar to the Moochas Grassias cards I made a few years ago. 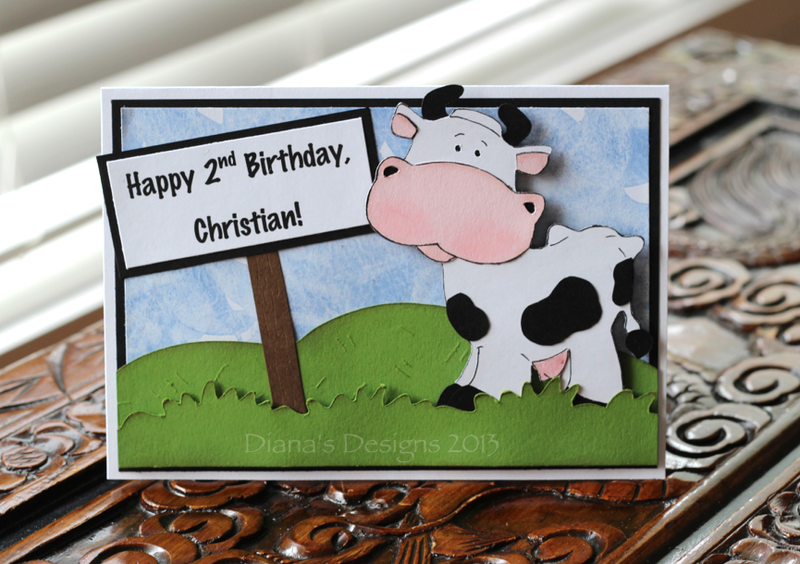 The cow is cut out at 4" and I printed the sentiment using my computer. I adhered the cow using some foam adhesive to give him some dimension and cut out the black spots free-hand. I also inked the edges of the grass as well. A colleague at work asked if I could make a first anniversary card for her and personalize it with the names of the husband and wife. 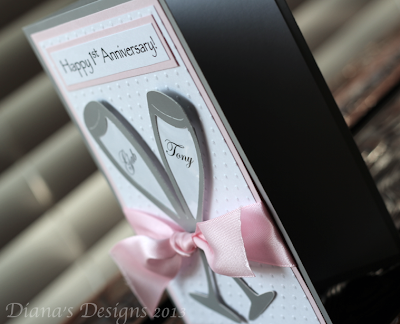 Using the champagne flutes from the Cricut Wedding Solutions cartridge, I used a metallic card stock for the cut, which was at 4". 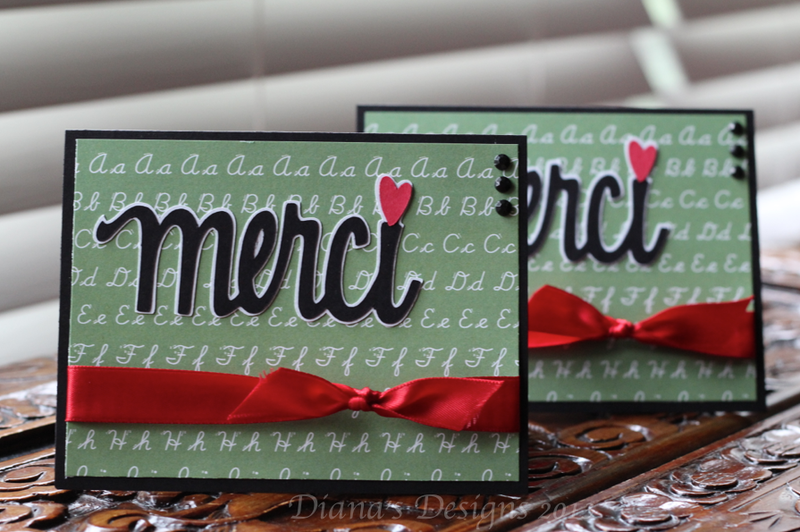 Then I printed out the sentiment and the names onto card stock. I adhered some cellophane to the back of the cutout to give it the appearance of glass and cut the excess by hand. I did the same with the names. The matte is embossed using the Cuttlebug Swiss Dots folder and I used foam to pop up the glasses. I hope they liked it. Here is another personalized birthday card I made at the request of a co-worker. 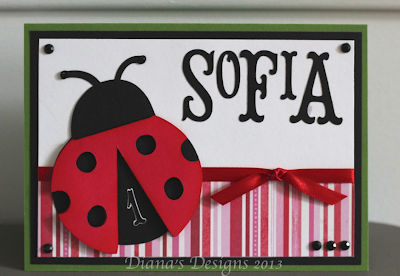 I used the ladybug from the Cricut Doodlecharms cartridge and I believe it was cut at 3". I added an extra layer of wings and attached it using adhesive foam to give the wings a 3D appearance. The font is from the Cricut Storybook cartridge and I alternated the sizes between 2" and 1.25". I really like the look of the alternating sizes so I'm pretty sure I'll be trying it out again in the future. 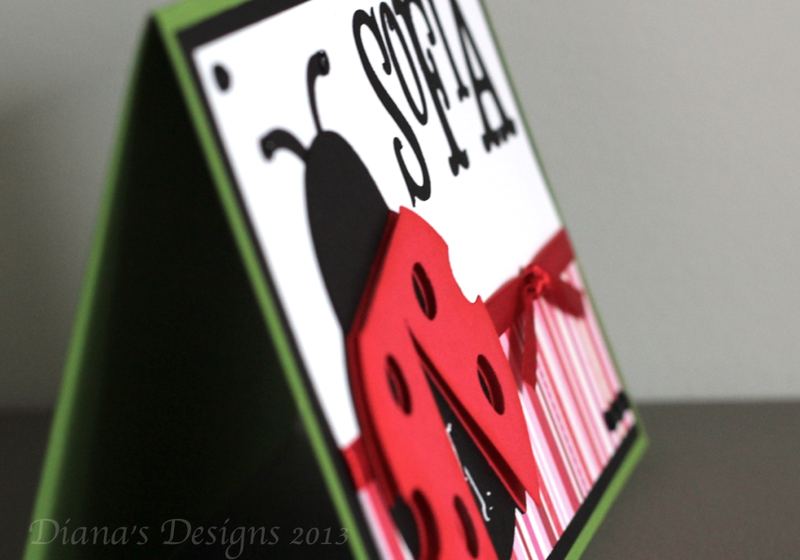 The design paper is from a K&Company Valentine pack I purchased at Michaels. Last year, one of my colleagues requested some Teacher Thank You Cards to give to her children's teachers at the end of the year. They are both in French Immersion so I used the sentiment 'merci' from the Cricut Beyond Birthdays cartridge. 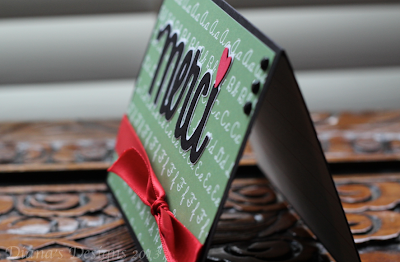 This year, she asked for another set of thank you cards and, being a little pressed for time during a really busy year-end, I just used the 'merci' cut, some ribbon and the pattern paper from the Stampin' Up! Storytime Suite. 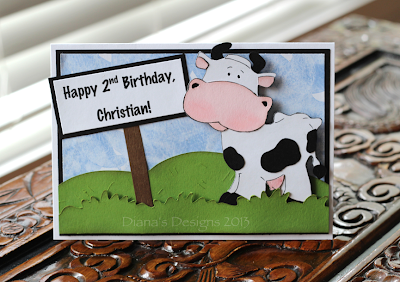 The size of the card is a standard A2 (5.5" x 4.25"). The sentiment is about 1.75", I believe, and I used the shadow feature in white to make it stand out. I really like the look of the lined paper on the inside. Sometimes, when you're pressed for time, a simple personalized birthday card will have to do. For this card, I fancied it up a bit by using the Fancy feature on the Cricut Storybook font cartridge for the first initial and smaller letters in the basic font. I really like how it turned out. 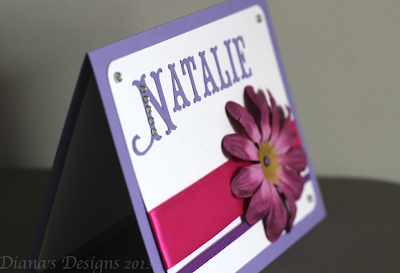 The card fits a standard A2 envelope and the font is about 1.25" and 2". 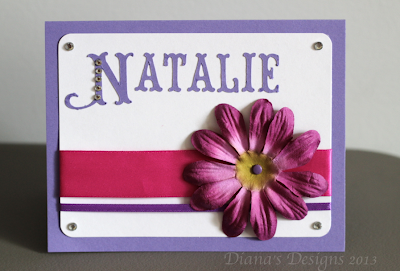 I used a Prima flower with a purple brad along with some adhesive jewels. I rounded the corners using a corner punch and reused some old ribbon.